Over the last year, our writers have tested a bucketful of bikes, a barn load of clothing and gear, and attended a bookcase full of cycling events. Which of these, though, have tickled their fancies enough to warrant the bestowing of a coveted Singletrack Editors’ Choice Award? Over to Wil to announce the winners of his four awards! 2018 has been a ginormous year which ends with me and my wife Suzie packing our bags to relocate Down Under. It’s been bittersweet. Living in the UK I’ve had the opportunity work at Singletrack Towers, meeting new mates along the way. 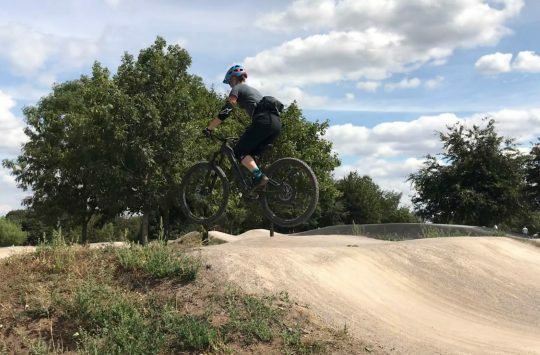 I’ve also grown a deeper appreciation of the innovation bubbling away in the UK bike industry – something that was no more apparent than at the fantastic Bespoked show in Bristol. Go if you can. I’ve been to ride in some marvellous destinations, expanding my global trail map significantly. Notable highlights include California, Ainsa, and Moab. Making the most of our proximity to Europe, we recently took a spectacular two-month road trip through Italy, Spain and Portugal. Having finally experienced some of these dream destinations, this is my one piece of advice to my fellow mountain biking brethren: travel. Take some leave. Book a ticket. Get out there with your mates. Experience new trails. And whatever you do, don’t leave it until next year. The R130 wasn’t just one of the best bikes I rode in 2018, it’s one of the best trail bikes I’ve ridden. Period. As well as riding in some dreamy locations, I’ve also had the pleasure of riding some dreamy bikes. None have been more dreamy than Robot’s R130. When I tested it earlier this year I called it “one of the best trail bikes I have ever ridden”. That stands to this day, though I still can’t quite put my finger on why its zingalicious ride quality has remained so firmly in my mind. This is a bike that made me feel like a superhero every time I rode it, with its impeccable suspension quality and dialled frame geometry making it seemingly impossible to put a wheel wrong. I guess it should do for the price – this thing is ridonkulously expensive. Then again, it isn’t that much more than some of the ‘boutique’ frames coming out of Asia. With Robot though, you’re getting a tailor-made frame that’s manufactured right here (or there? – Ed) in the UK. It isn’t just about the warm and fuzzy feeling of buying local though – the construction is proper state-of-the-art stuff. The unique frame architecture possesses impressive attention to detail that’s afforded by the custom titanium lug work, which also makes the highly complex DW6 suspension system a reality. Thank god the Robot guys persevered with this challenging design, because it’s resulted in a bona fide superbike that’s as dangerously efficient on the ups as it is on the downs. I loved the original Cotic Solaris. I love the new SolarisMAX more. Making things slacker, lower and longer has been nauseatingly à la mode in 2018. 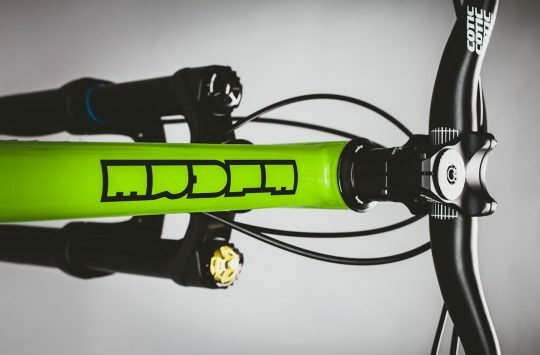 But the geometry trend pioneered by Mondraker (and championed by the likes of Geometron and Pole) is proving to be more than just a fad, with some wholesome real-world benefits being tapped into by more brands. Rather than just tiptoeing along with a few more mm’s here and there, however, Cotic dove in headfirst with its new Longshot geometry concept. Filtering throughout the range, the Longshot geometry hasn’t necessarily made head angles that much slacker, or the BBs lower, but it has elongated the frame’s front centre dramatically. The resulting XXL wheelbase is all about elevating high-speed control and stability in the rough stuff. 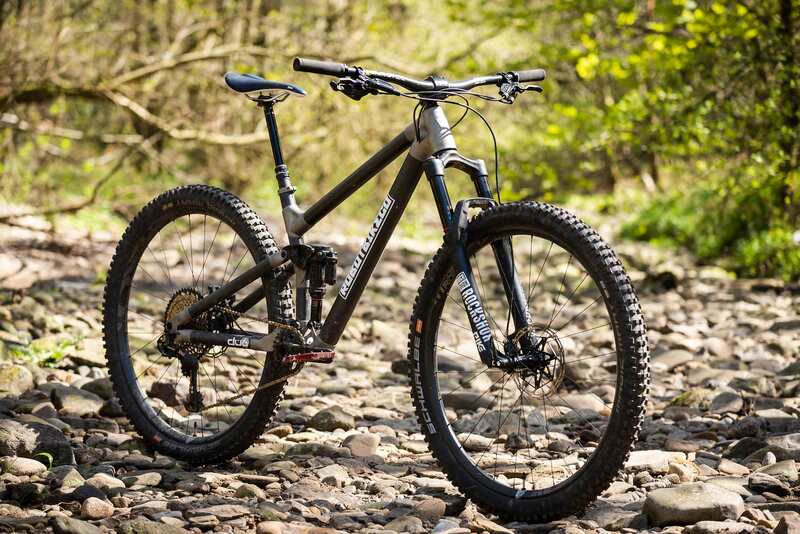 Combine that with a slender steel frame, big 29in wheels and high-volume rubber, and Cotic has cooked up an absolute monster of a hardtail in the latest SolarisMAX. This is a fast bike – no two ways about it. Fun too. I was initially sceptical, since just making a bike really long doesn’t instantly make it a better bike. 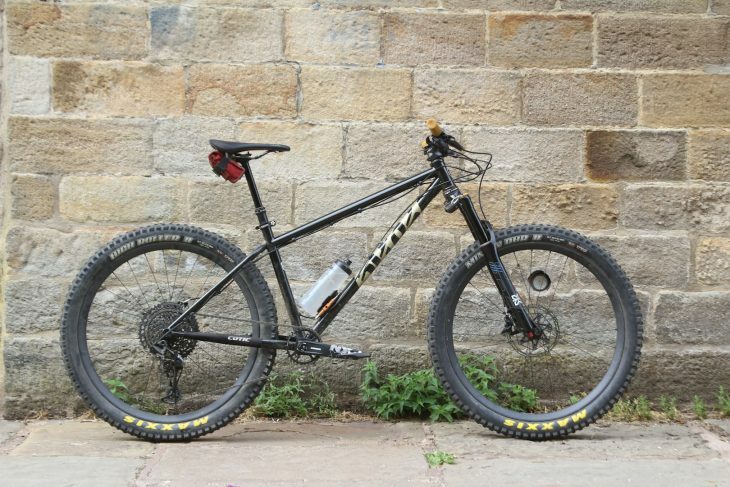 In this case though, it has turned the Solaris into the fastest and most composed hardtail I’ve ridden. It’s also packed with versatility and practicality: you can fit a 120–140mm travel fork, 29in or 27.5+ wheels, and Cotic has kindly kept the headset, bottom bracket and cables all on the outside of the frame. Big thumbs up. Fox’s unexpected 34 Step-Cast fork turned out to be one of the best sliders introduced in 2018. A pleasant surprise this year was Fox’s release of the 34 Step-Cast fork. I say that because when I caught wind of Fox’s move to bring the Step-Cast design to the 34 series, it seemed like an odd move. Everyone else has been concentrating on making their trail forks burlier and stiffer. Why deliberately make something lighter and flexier? Turns out I was approaching the 34 SC the wrong way round. 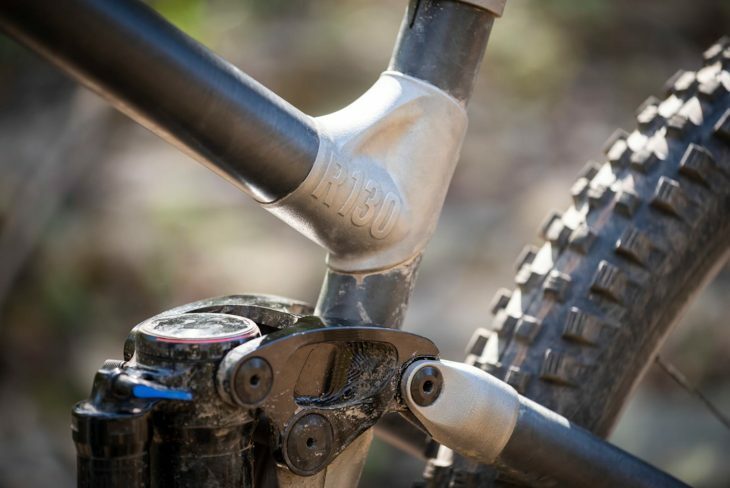 At 1630g, the 34 SC isn’t just the lightest fork available with 34mm stanchions, it’s also lighter than many forks with 32mm stanchions. It’s available in 29in and 27.5in versions, but due to the weight-optimised design it is only available with 120mm of travel (shorter air springs are available for dropping the travel by 10–20mm). You still get all the typical Fox adornments: there’s the latest super-duper smooth EVOL air spring, the easily adjustable FIT4 damper, and the Boost lowers will take properly wide rubber. 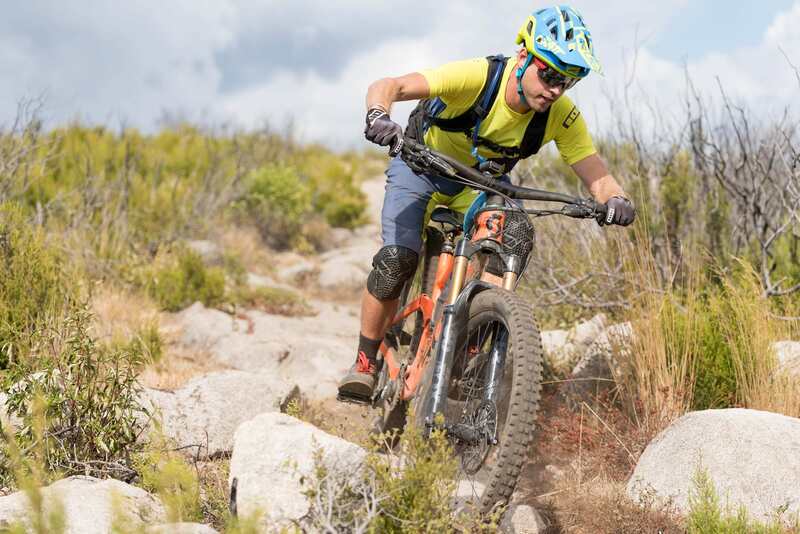 For an XXC bike with a bit more oomph, the 34 SC is the perfect complement. All that adds up to an exceptionally smooth and well-mannered fork that is way more supple and controlled than your typical 32mm fork. And although it is twangier on the big stuff compared to a Pike, it lends itself perfectly to the emerging aggro cross-country market. 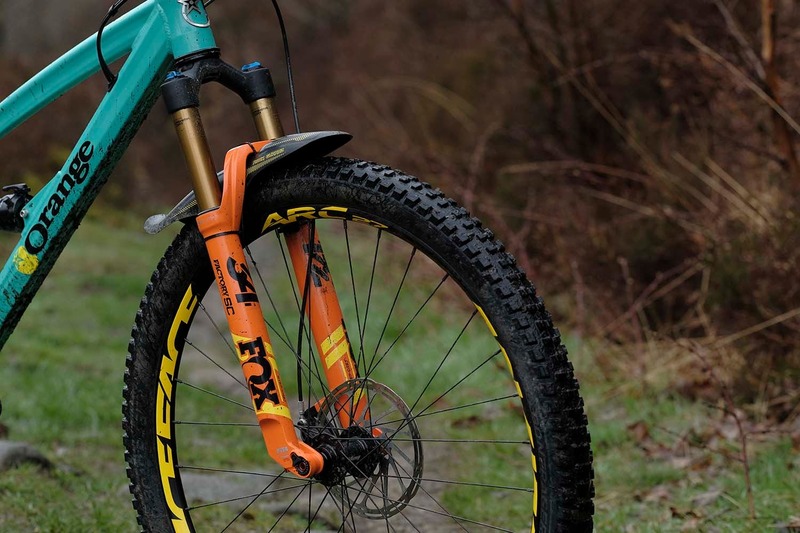 With those frames getting stiffer, and cross-country geometry getting more rad, this fork couldn’t have come at a better time. 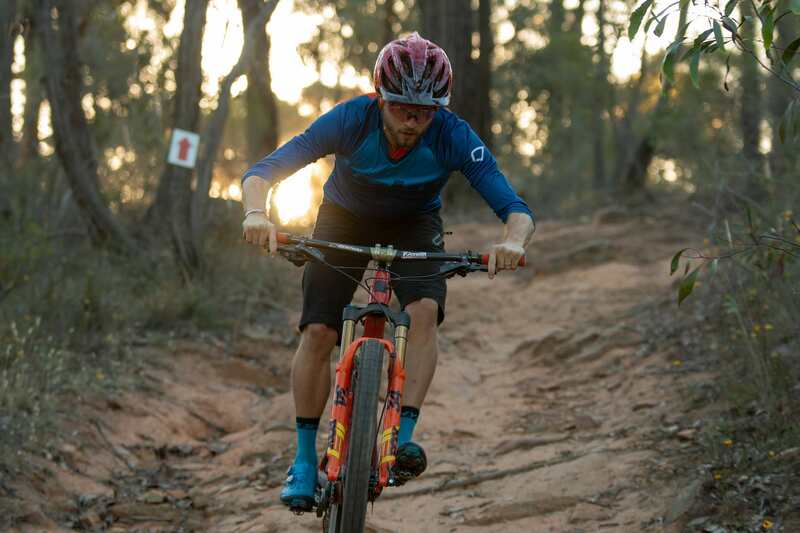 If you’re looking to put your cross-country bike through a metamorphosis into something more fun and more capable, the 34 SC might just be the best upgrade going. 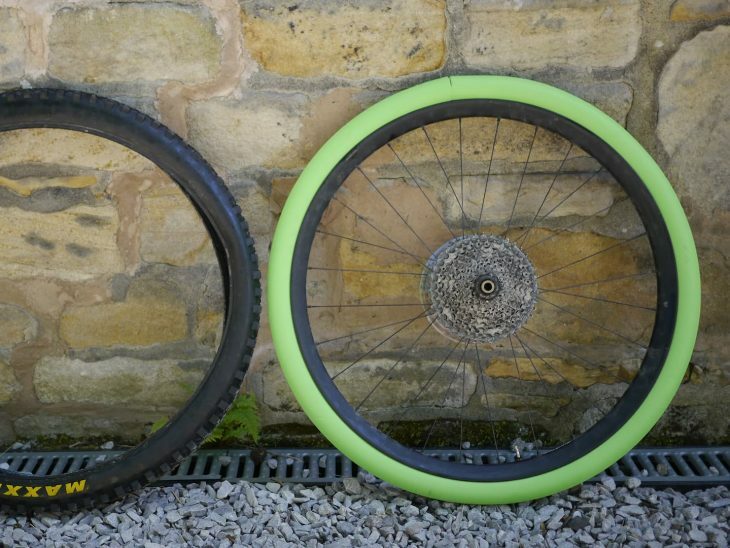 Vittoria’s Air-Liner is one of the best tubeless inserts going. Aside from the outbreak of shlonger (slacker and longer) geometry, 2018 could also be labelled ‘Year Of The Tyre Insert’. What initially started out as an experiment by Syntace and Schwalbe to develop the Procore system has snowballed into one of the biggest trends of the year. Countless other brands, including Huck Norris, CushCore, and Flat Tyre Defender, have all turned their hand at developing an insert for tubeless tyres that’s designed to add stability and pinch-flat resistance to modern high-volume tubeless tyres. Why not just run higher pressures? Because traction. And comfort. And once you’ve tried your tubeless tyres at these silly-low pressures, there’s no way you’ll want to go back to a harder and less compliant tyre. Despite two months of rock-infested Euro shenanigans, I never once pinch-flatted or dinged a rim. I’m impressed. The Vittoria Air-Liner is one of the newest systems out there, but in my experience it is one of the best. It is heavy – you’ll add a couple of hundred grams to your tyre. And it’s also not the easiest thing to fit. But if I hadn’t had one of these in my rear tyre for our two-month Euro road trip, there’s no way I would have come back with the same rear wheel. 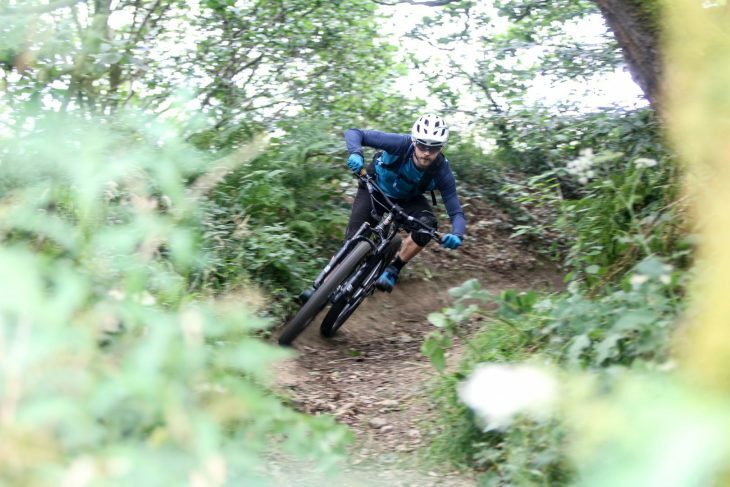 Despite walloping the tyre into every rock I could find in places like Finale Ligure, I never once heard the rim bottom out, and that’s good news for anyone with high-end wheels they’d rather not destroy. Factor in the added stability and mega traction, and I am 100% sold on the Air-Liner for trail riding and enduro racing. Shame robot have gone bust… sort of. RoboAtherton..?? I’m sure they will have a trail bike for Dan’s foray into EWS…?!?! I’m a registered member and logged in… and I still can’t see this article. What with this and the CONSTANT pop ups about giving a crap about my privacy and all the other adverts (often for a tanker truck sales company?!) this website is getting ridiculous to try and read. It’s a hassle and a chore and I can only see a bleak future ahead for Single Track if this doesn’t change. Will do you us the airliner with DD or DH tyres? I have a huck Norris and was still getting pinch punctures . Off to finale soon and want it sorted. Ta! @Bonobo – That sounds like you’ve got an odd problem there, as we’ve all checked in the office on PCs and mobile phones, and the article is available to read without issue. If you’re still having a problem, it’d be great to get to the bottom of it – shoot an email to tech@singletrackworld.com and we’ll get the in-house cyborgs onto sorting it out for you! 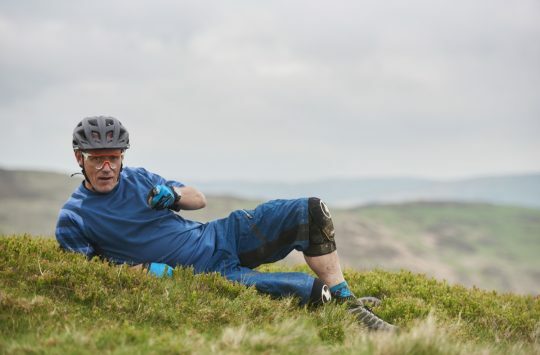 @howsyourdad1 – I’ve actually been using the Vittoria Air-Liners with standard trail tyres. So EXO tyres from Maxxis, and XR tyres from Bontrager. My experience has been thoroughly positive in all instances – no pinch-flats, no rim-dings, and no casing wobble even when running pretty darn low pressures. It’s certainly made me think that for my riding style and trail conditions, a standard casing with a tubeless insert like the Air-Liner, is a better solution than using a super-heavy reinforced enduro tyre without an insert. And the weight ends up working out pretty much the same.